In contrast to bulbs and fluorescent bulbs, LEDs are not natural sources of white light. LEDs emit monochromatic light, so they are very efficient sources of color light. White light from LEDs can be obtained in one of two ways. 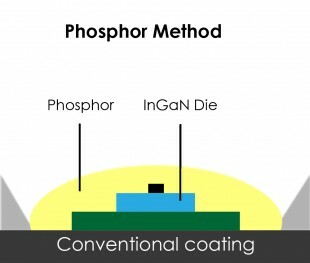 The first is the use of phosphorus, which emits yellow light, or a combination of different types of phosphorus to cover the blue LED, or the color near to ultraviolet. 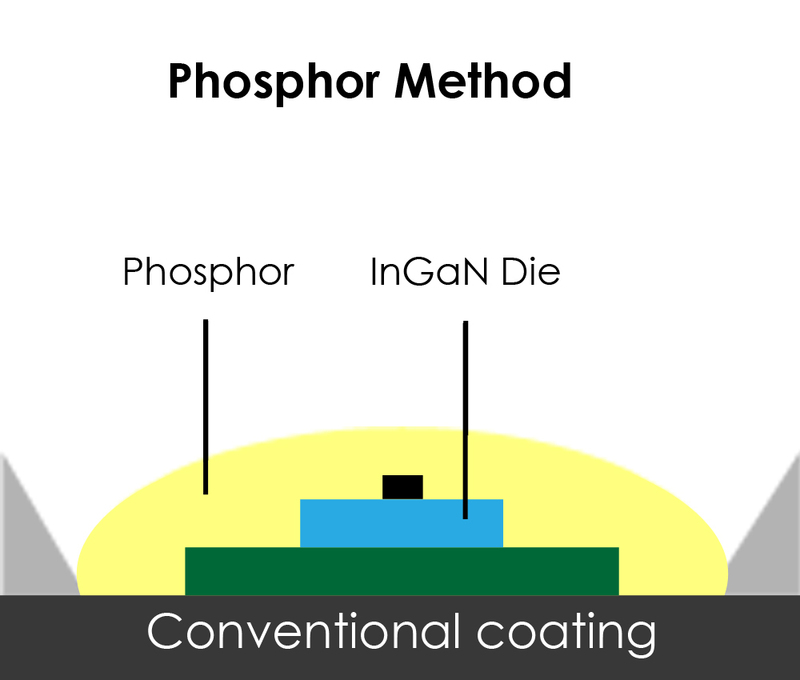 Phosphorus can be incorporated into a diode or be placed in the vicinity of the diode. 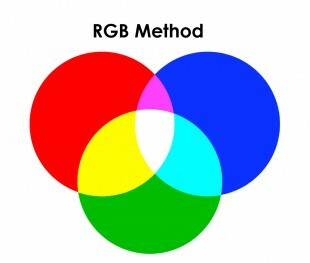 The other method is mixing the relative proportions of red, green and blue obtained from single-color LEDs in order to obtain white light. This method is less popular due to the complicated optics, LED control, and thus high production costs.